Why do we need CABE Space? Using OJEU processes does not preclude running a design competition but you should choose your methods and procurement processes carefully to suit your project aims. Much of our recent built environment is delivered through agreements with organisations to deliver projects. This can become very complex, leading to a procurement arrangement that becomes an end in itself, losing the fundamental quality goal. Malcolm Reading is a qualified architect and project manager who has led and organised major design competitions on behalf of a number of high-profile public and private-sector clients. 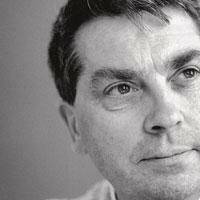 He runs Malcolm Reading Consultants and acts as expert advisor to the RIBA Competitions Office. 5. invest wisely up front; the cost of a well-run competition is a small percentage of total project cost. The stages of the design competition process (click the image to see full size version). The key is to know whether you are searching for an idea, a team to work with, or a project. Procurement can block the search for innovation by making it hard for fledgling practices - or even established practices without experience in the sector - to get past the first hurdles of selection. If the procurement focuses on measures such as professional indemnity insurance and accounts for three years of trading, then the practice best placed to fulfil your goal could be excluding from the shortlist. There are simple ways to avoid this. For example, with an infrastructure project in a sensitive situation Reading suggests that seeking bids from joint-venture design teams is a good idea. They can combine the flair of designers fresh to the sector with the delivery assurance of a safe pair of hands that is knowledgeable in project management. This way it is possible to manage risk and reward. To decide what route to take you need to know what you are looking for. ‘Is it a team to develop a good working relationship with, a finished product, some design options, or the raised profile for your organisation?’ These goals require different procurement approaches. To develop a long-term relationship with the consultant working on the feasibility you should assess whether to go through OJEU even at this early stage. If not, there is a risk of reopening the competitive process, resulting in a lot of wasted design work, and the end of good relationships that were developing. The winning architect of Oriel School made an early contribution to the brief development. Spending 0.5 to 1.5 per cent of project cost on procuring the best team and preparing the brief is a good investment, considering the long-term costs of a delivering and maintaining the built environment, There are multiple sources for information, guidance and competition running services and they can be tailored to the needs of individual projects. Design quality was prioritised at Abbey Mills Pumping Station despite technical complexity. In running competitions, there is an onus on the client to maintain a transparent process. ‘It is vital to competitors – who are investing considerable resource into entering – that the goalposts are clearly staked out.’ Staging the competition needs to be carefully aligned with the procurement reality. And it is beneficial for all that the process is believed in as the genuine selection process. Reading is also adamant that fair payment is important. An architect begins work early with PFI consortium and contributes to the brief development and design of Oriel School leading to a winning bid. An architect is introduced to the technical design team late in the process, but despite the technical complexity of Abbey Mills Pumping Station clear value is given to design quality. Urban Splash's Nick Johnson on weighing up the benefits and risks of design competitions. Competitions manager Linda Roberts explains how to write the brief that gets you what you want. Architect Louisa Hutton lists what to ask for (and what not to ask for) from your entrants. Emma King from the Arts Council on finding the right people to oversee your capital investment. The stages of the design competition process.